The only doctor-based massage chair designed by 25 medical specialists, for your body’s regeneration and well-being! Are you looking for something more than just an average massage? Are you in need of something deeper than just a scratch-the-surface, temporary stress breaker? Are your muscles aching for something a little more nurturing and effective? Introducing the Medical Breakthrough 4 Chair Recliner that will leave you wondering how you ever lived without one. 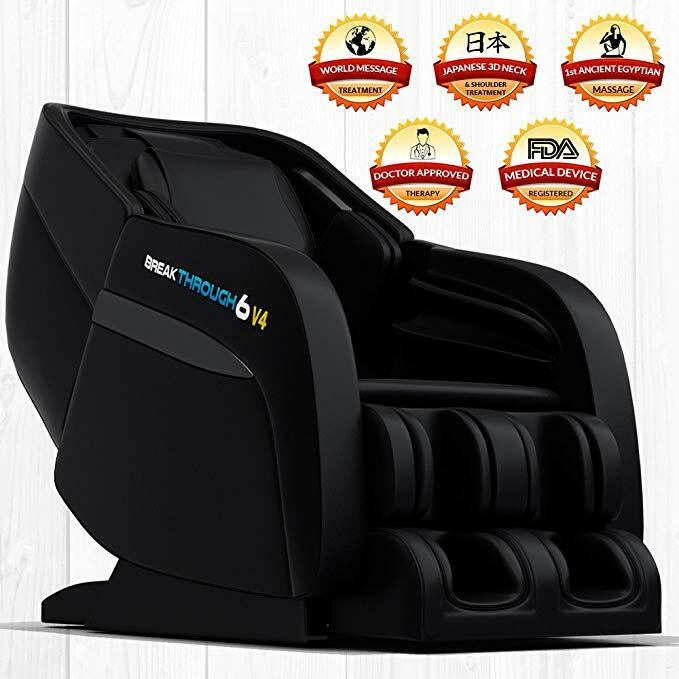 Medical Breakthrough Massage Chairs are the most scientifically advanced massage chairs to relieve neuromuscular pain and fatigue. Specially curated with the medical expertise of a 25-strong team of doctors, surgeons, chiropractors and pain specialists, it brings you unbeatable massage techniques and intelligent technology to provide you with the ultimate targeted therapeutic massages. 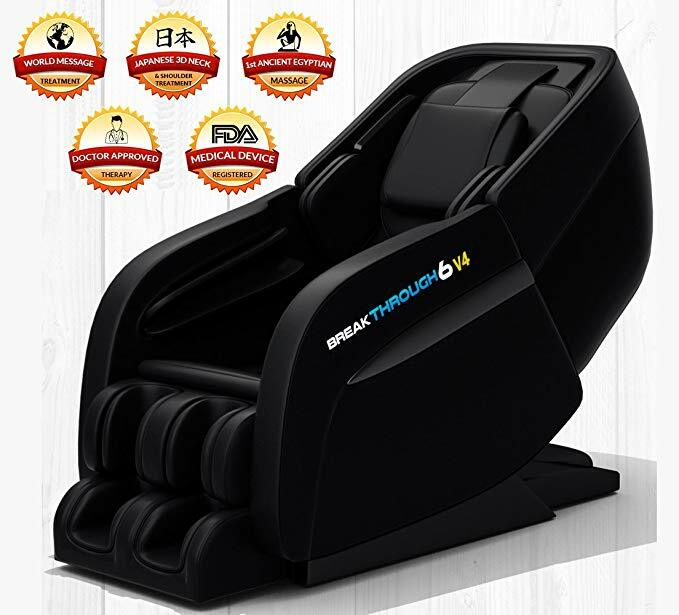 The Medical Breakthrough 4 Massage Chair Recliner is a medical recommended, ultra-modern massage chair designed to improve your overall health and well-being. It features zero-gravity technology with built in infra-red heating to sooth your muscles. Its cutting edge medical body scan and chiropractic body stretch leaves no part of your body untouched, and is the ultimate choice for neck to toe relaxation. The L-track system is designed to gently support the user’s body for a more effective massage. It is a four-wheel driven roller trail that is shaped to fit the curves of the user’s body and provide support from his/her neck all the way down the spine to the buttocks. The design ensures that through a set of vertical movements, each individual spine of the body is decompressed, leaving users feeling refreshed and relaxed. This intelligent system automatically detects and adjusts the chair’s fit according to a user’s body type and build. 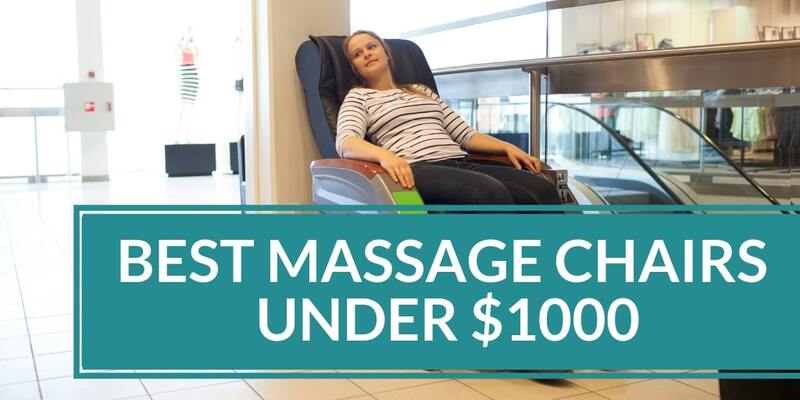 The chair also has a range of programmed massage techniques including Shiatsu, kneading, flapping, knocking, and kneading, with up to five levels of speed, to provide users with the ultimate customized massage program that puts you right to sleep. Not only does this warm the body, but provides users with even greater health benefits using carbon fiber infra-red heat sourcing technology. Feel your blood vessels dilate and experience cell rejuvenations through improved blood flow and circulation. For athletes or the elderly especially, this helps lessen the impact of injuries and promotes greater recovery times. Unlimited customizations enable you to recline as much or as little as you want. Chiropractic back stretch with inflatable airbags will grip your hips to gently stretch and loosen up those tight muscles. Soothing infra-red heating to warm your body inside and out and alleviate any muscle stiffness. Space saving design helps preserve the spacing and maintain an open environment in your home without any disruption. Zero gravity ensures the user’s weight is spread across his/her body and relieves stress for a more intense massage experience. 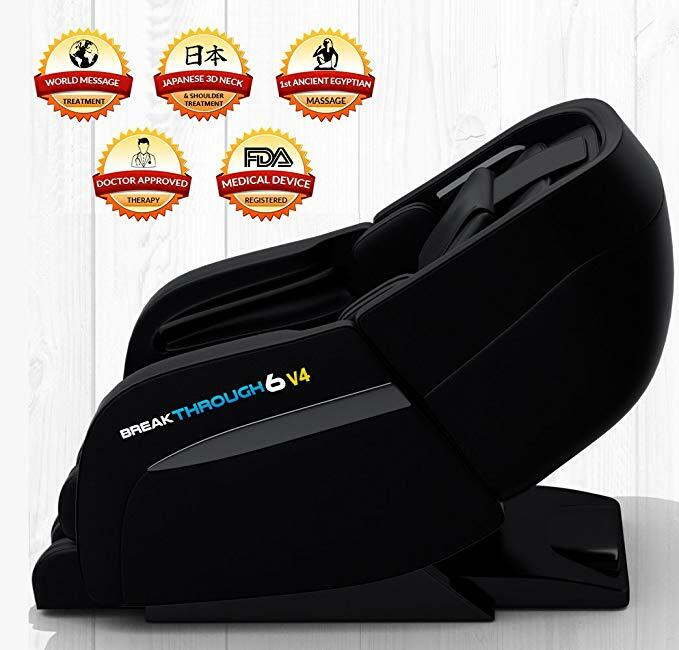 The Medical Breakthrough 4 Massage Chair Recliner is back with 36 years of medical research reinvent the multi-massage techniques used by massage therapists. 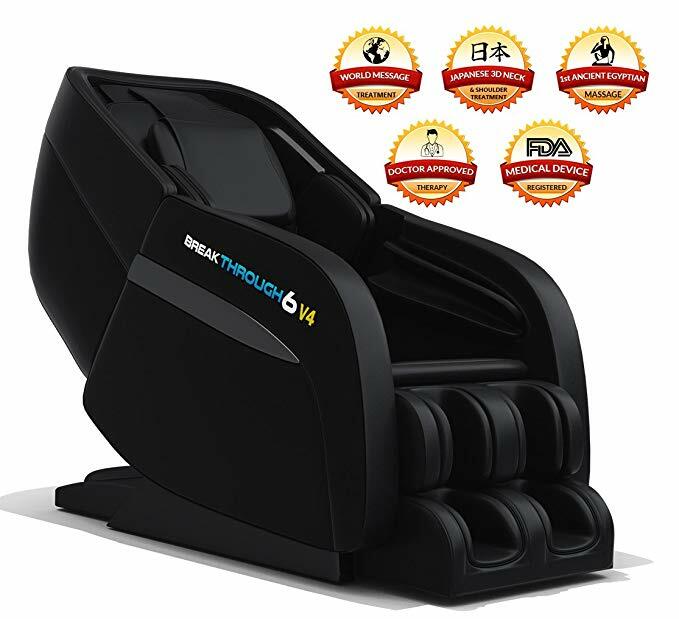 It comes engineered with 3D tissue massaging technology for all body types, and automatic and manual massage modes that allow you to store your favorite massage routine or opt for fixed, partial or overall massages of varying speeds and intensities, with or without the air massage option. Experience full relaxation from head to toe, every time you feel like it!